Hi there everybody. 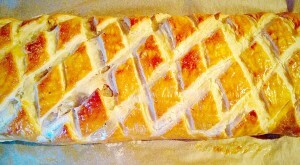 I have another easy, dish for you today Sausage Plait With A Twist. What’s the twist? Sundried tomatoes and fresh thyme. 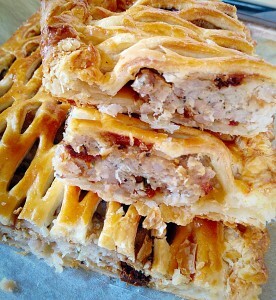 Stunning, scrumptious and so easy – Sausage Plait With A Twist! 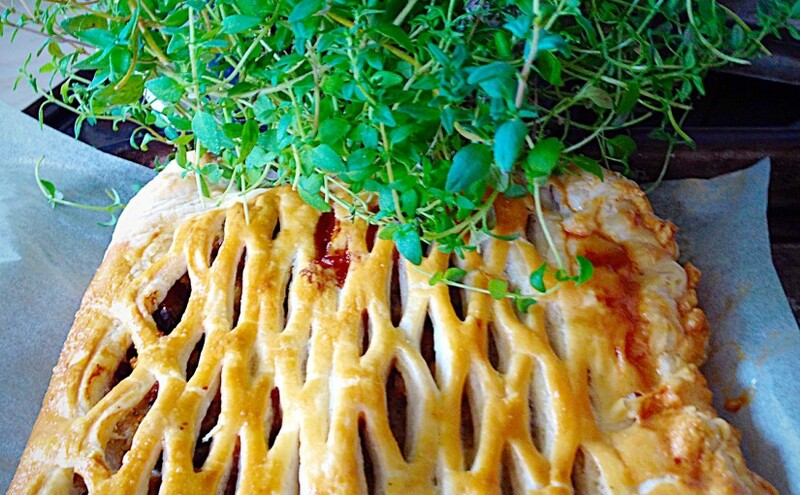 The addition of sundried tomatoes and thyme to pork sausage meat gives this sausage plait a deep savoury flavour. Ideal for a mid week meal, perfect for a buffet and portable for picnics!! 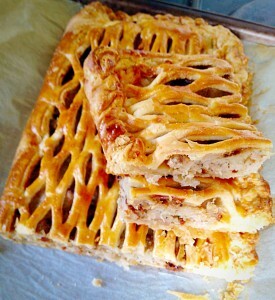 No ordinary sausage roll! This Sausage Plait With A Twist is perfect for buffets and picnics! 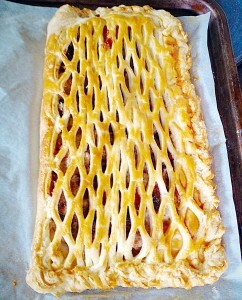 Now I have used a special roller, to create the lattice pattern on the top of the Sausage Plait. I bought it 20+ years ago. I’ve just had a quick peek on Amazon and they sell them for about £5. Which is probably about what I paid all those years ago!!! If you bake a lot of pies and tarts then I would say this is a good buy. However the diamond effect on the pastry below was achieved by lightly scoring the uncooked pastry, on a slant, one way and then the other. 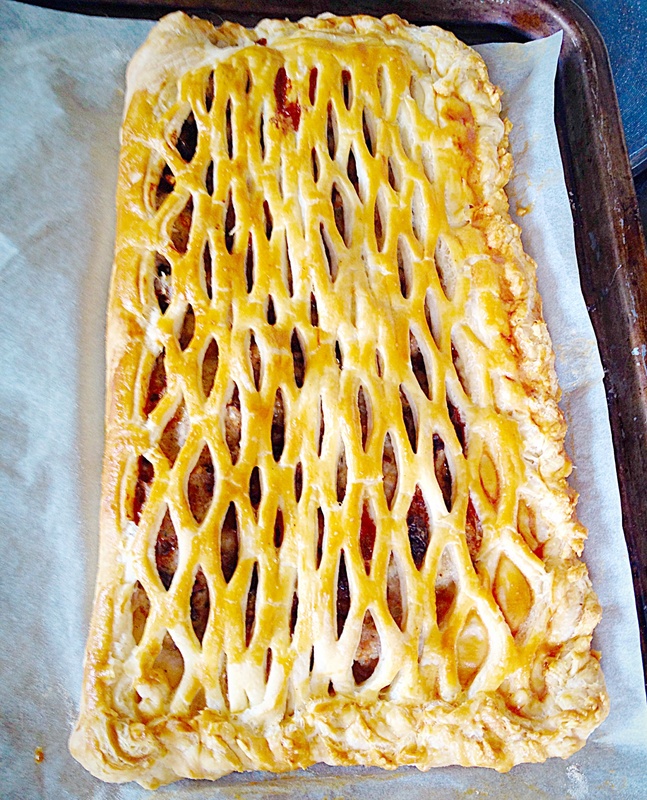 When baked it produced a pretty, diamond effect pattern and I didn’t need a Lattice Roller. This technique would work for the Sausage Plait. Sausage Plait with a diamond pattern – just as effective. Whichever method you use, your Sausage Plait With A Twist is sure to go down well with everyone who tries it. Served hot or cold, it is completely scrummy!!! 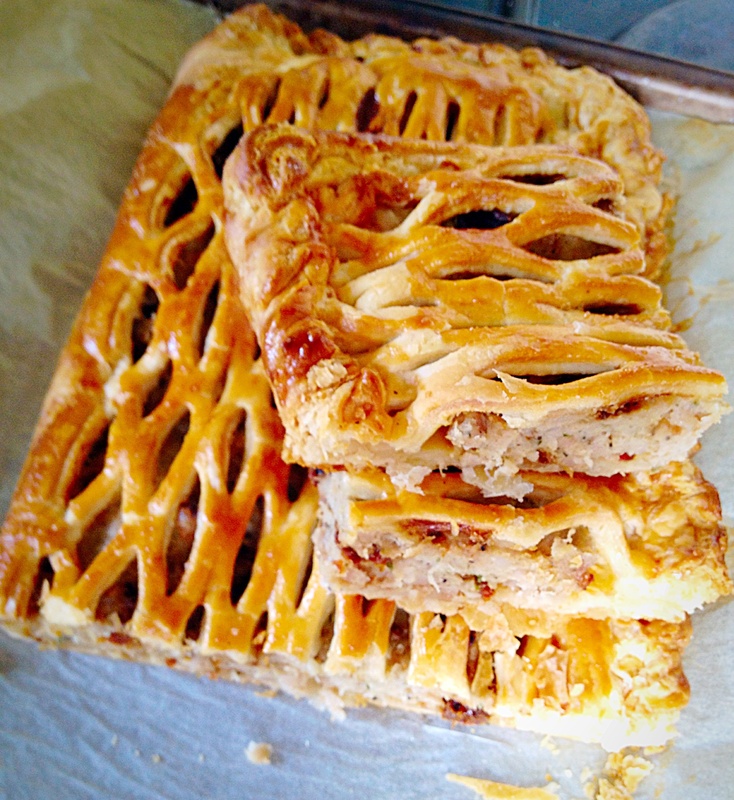 Recipe : Makes 1 Sausage Plait With A Twist. 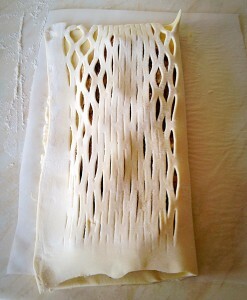 500g/1lb Block Puff Pastry – defrosted if frozen – I used Just Rol, not the all butter version. Chop the sundried tomatoes, roughly, so there are no big pieces. Place into a bowl and add the Thyme, Sausage meat and black pepper. Using your hand, squish (technical term) all the ingredients together until well combined. 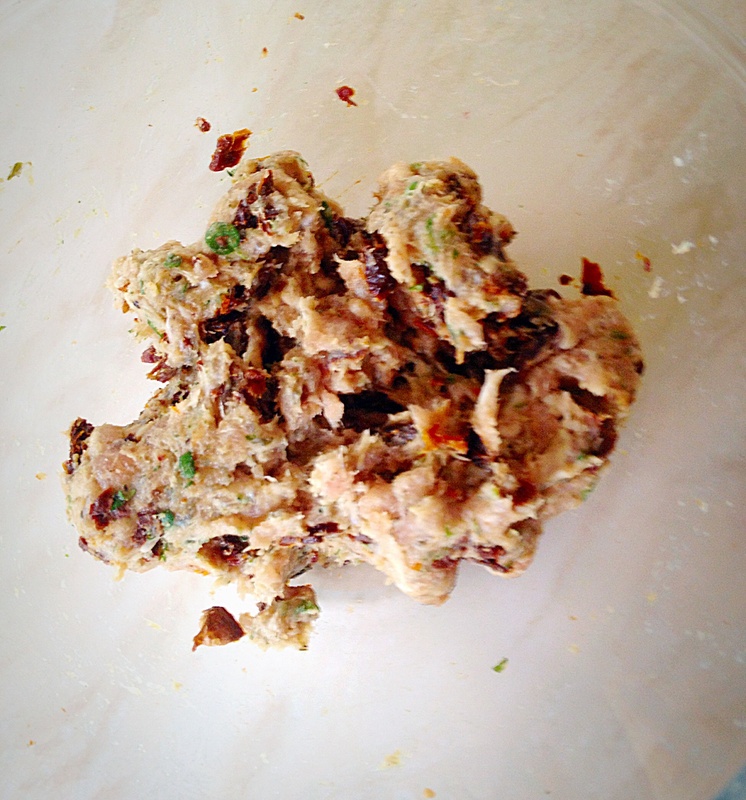 Dark red pieces of sundried tomato and flecks of green thyme are spread throughout the sausagemeat. On a floured worktop roll out the puff pastry so that it measures 30cm x 35cm (10″x12″). 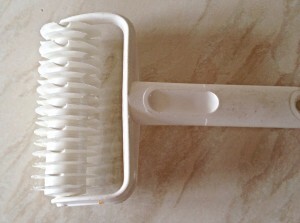 Trim to neaten the edges. 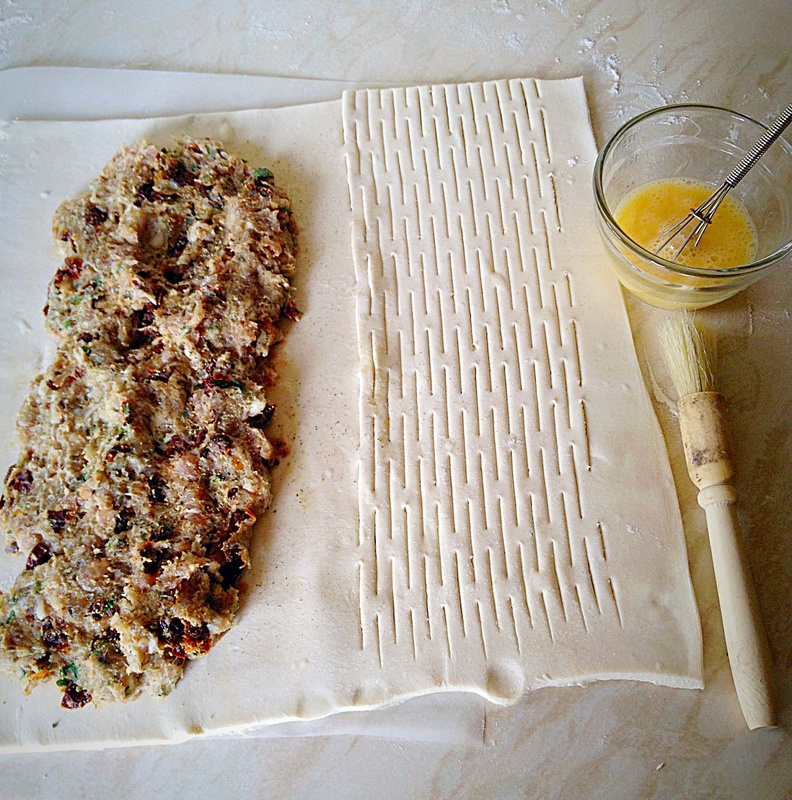 Now place the pastry onto a piece of parchment paper – the same size as your baking sheet. 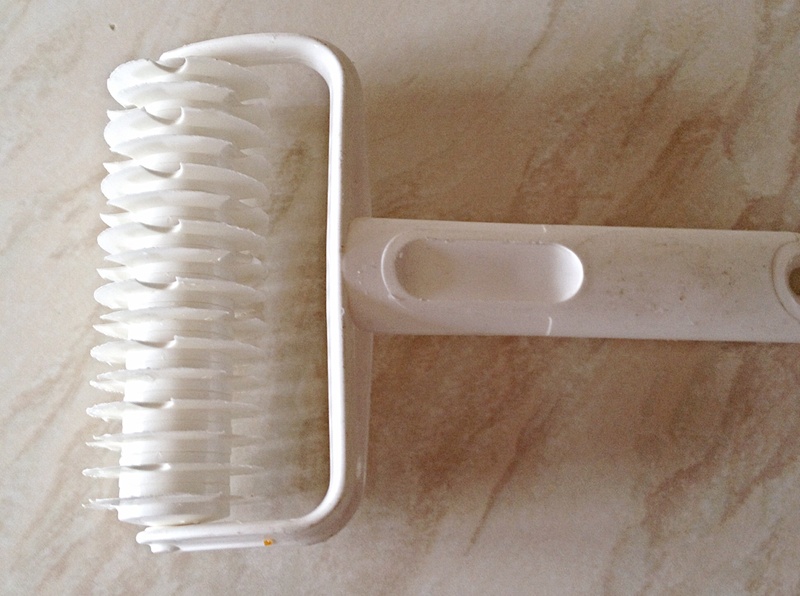 This will make transferring the sausage plait MUCH easier. MUCH!!!! I speak from experience!! Place the sausagemeat mixture evenly down one side of the pastry, leaving a 1 inch (2.5cm) border. 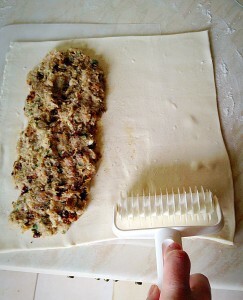 Pat the sausage mixture so that it is spread evenly. 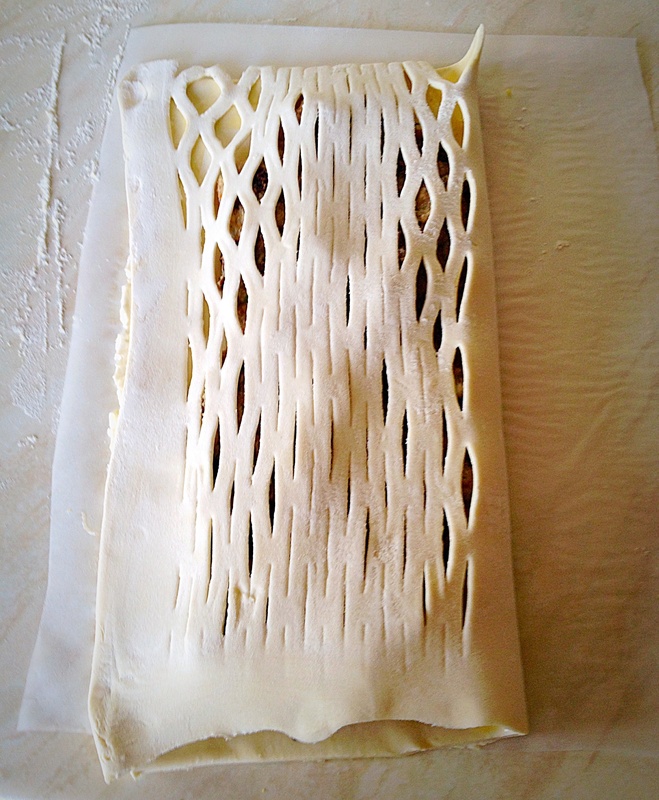 Then get ready to roll…..
Place the Lattice Roller just inside the bottom edge of the pastry and roll to the top! Brush the beaten egg around the border of the sausage mixture. 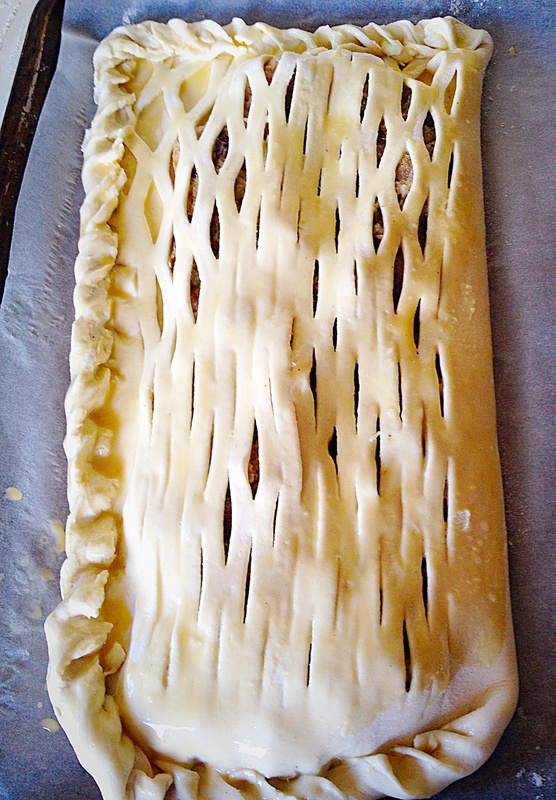 Fold the lattice cut side over the sausage meat, so the edges meet. 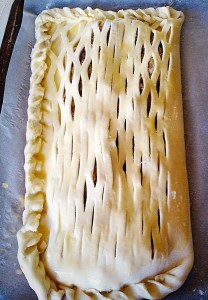 I have crimped the pastry edges by twisting them together, then brushed egg wash over the top of the Sausage Plait. Yep I know!! Bet you’re glad you don’t have to transfer this to a baking sheet now? My mistakes are your gain – sometimes it takes me a while to catch on!!!! Bake for 40 – 50 minutes, in a preheated oven 190C/170C fan, until golden brown. Sausage Plait With A Twist – delicious served hot, warm or cold. Such an easy dish to make, yet super impressive to look at and eat! 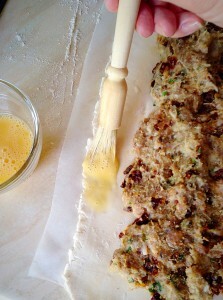 I hope you give this recipe a try and let me know what twists you put on your version?